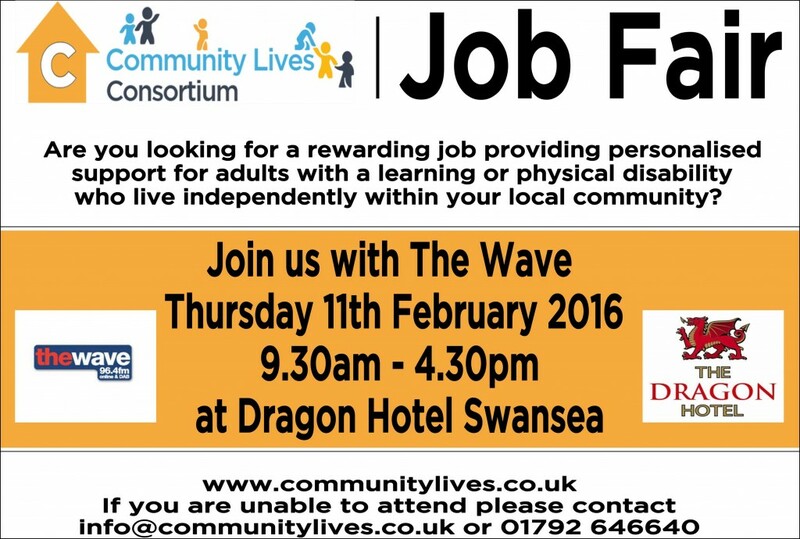 We are looking for flexible and committed Support Workers, and are hosting a Job Fair on Thursday 11th February 2016 between 9.30 and 4.30 at the Dragon Hotel, Swansea. Please click the ‘play’ icon to listen to the Wave advert again, and also see the film and poster for further details. We look forward to seeing you there!